Since the dawn of man, humanity has been gathering around the fire for food, fun, and camaraderie. Today, that sentiment is alive and well, and is especially seen and experienced with the addition of a fire pit to your entertaining space. Whether you prefer hosting your friends and family indoors or outdoors, complete fire pits bring a spark to any evening gathering. A fire feature offers the perfect atmosphere for dinner, drinks, and friendly conversation. Montana Fire Pits understands this idea and offers a myriad of the tools and techniques needed to capture the romanticism of basking in the warm glow of the evening flame – including complete fire pits that offer every style, size, and function you and your guests could hope to desire. What Are Complete Fire Pit Kits? From roasting marshmallows for making s’mores to warming your toes by the fire to strumming a six-string on your front porch swing, an outdoor fire pit is a great way to pull your deck, patio, or backyard décor together. Sitting around a fire exchanging stories with friends and family is one of the best ways to bring your loved ones closer. A complete fire pit is everything needed to assemble and operate your very own fire feature and bring this idea to the forefront of your life. This do-it-yourself approach allows for you to take control of your evenings and avoid the added expense of hiring a costly professional to assemble your fire pit. A complete fire pit kit will have all it takes to ensure you and your guests have a roaring good time! What Comes In A Complete Fire Pit Kit? 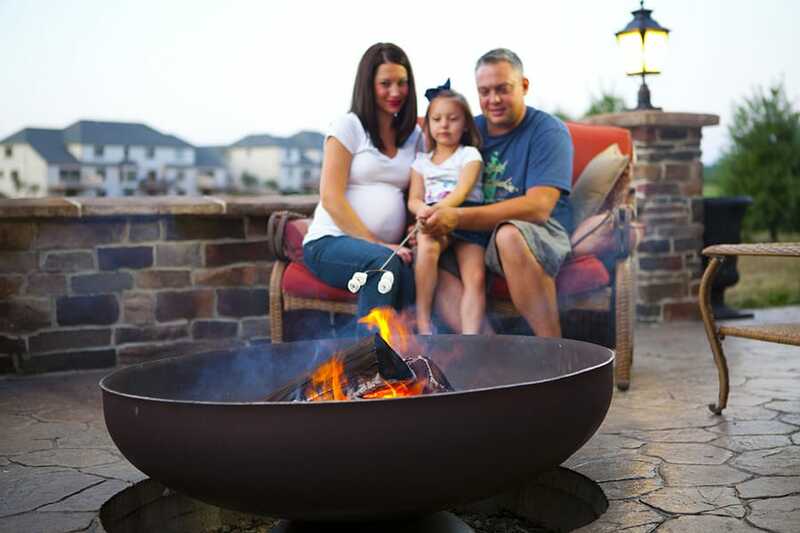 Our Fire Pit Kits come with everything you need to build your own fire pit and are great opportunities to share family bonding time, as the process of putting it together is almost as fun as enjoying its warm glow on a cool evening… almost. One thing is for certain, you are sure to get a wonderful sense of satisfaction knowing you’re the one that put it together! All of our Complete Fire Pit Kits come with everything you need to build the fire pit including the burner, flex line & key valve, pan or plate, and all the components you may need to get warm up your evenings. 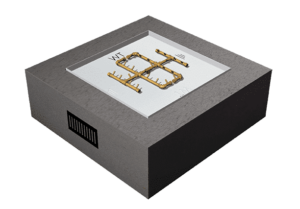 Some offer you the option of choosing stainless steel or brass components, decorative touches such as lava rock or fire glass, and your choice of match lit or electronic ignition systems. You can even choose a complete fire pit kit that incorporates water elements! The choices are near endless and are only bound by your budget and imagination. Montana Fire Pits carry only the best products from the best manufacturers and many of the complete fire pit kits we offer are USA made and come with limited lifetime warranties! Why Choose A Complete Fire Pit? Many of us enjoy the process of assembling something with our own hands – especially something that is designed to offer many years of family fun and friendship. As a bonus, saving a few bucks is always a good option. This is why Montana Fire Pits offers you the opportunity to purchase Complete Fire Pit Kits. You have the opportunity to choose a product you prefer, as well as the ability to customize it in any way you see fit – all at a more affordable cost than purchasing a finite, finished unit that does not give you exactly what you want. Your evenings should not be limited to what your outdoor living area offers you. We aim to make you and your guests comfort and enjoyment a top priority! We only carry products by companies that represent the finest complete fire pit kits in the world. Nisho: Nisho fire pits combine influences from contemporary and industrial design, resulting in a remarkably distinct yet functional concrete masterpiece for you to relax and unwind. Created from the ground up with an unwavering eye on every last detail, Nisho geometric shapes and material fuse together to create a durable structure that looks equally as good with a flame off as it does on. With ample space for food and drinks, Nisho will quickly become the cornerstone for cozy nights. Nisho is designed through innovation and designed for life. Fire Pit Art: Fire Pit Art identifies as “a gathering place for family and friends.” Affordable and beautiful, Fire Pit Art offers complete fire pits that capture the warmth and focus of an open hearth under the stars. 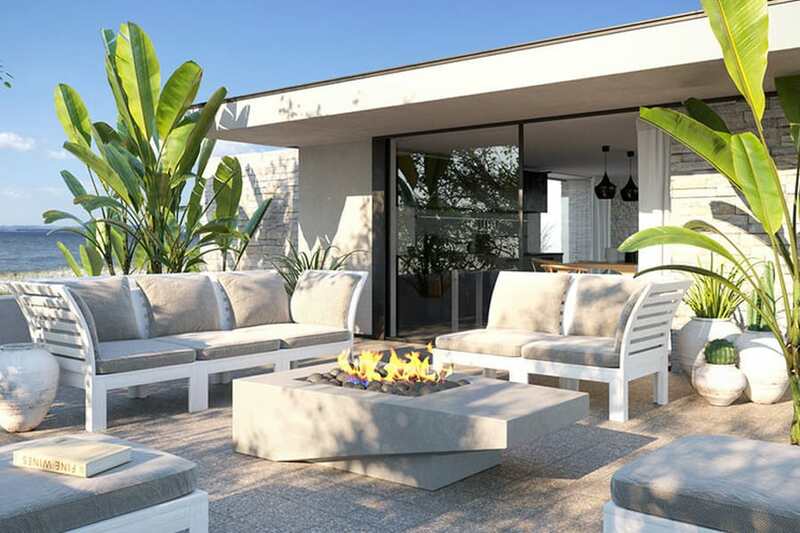 These fire pits provide a great space for socializing and conversation, extending the living area of your home to the outdoors. An evening around the fire is a pleasurable pastime, as flames capture the imagination, sparking ancient memories spanning back to the dawn of time. The constant movement and change of fire is both soothing and exciting, the perfect backdrop for tall tales, quiet reflection or intimate moments. Fire Pit Art is pleased to bring this to your home and become an integral part of your evenings. Architectural Pottery: Architectural Pottery prides itself on its innovative looks and functionality, while offering multiple options for its customers. Made from Glass Fiber Reinforced Concrete, Architectural Pottery’s products are especially conducive for outdoor use. They offer made to order options that capture the imagination of the consumer. Their containers encapsulate contemporary and traditional designs and are even offered in cast sandstone. They offer archpot fire manual systems and all weather electronic ignition systems that ensure your fires light with ease. Add their special fire glass and lava rock accents for a beautiful and timeless look. Ohio Flame: Ohio Flame produces “American Quality by Design” by offering only American made fire pits. Its “Liberty Line” combines bold and linear styling with tough American quality and durability. With no parts to break or wear out over time, this Fire Pit is built to last a lifetime. “The Liberty” is crafted from thick carbon American steel that is sourced from local steel mills. No maintenance is required for this Fire Pit, as it’s designed to withstand the elements year-round. 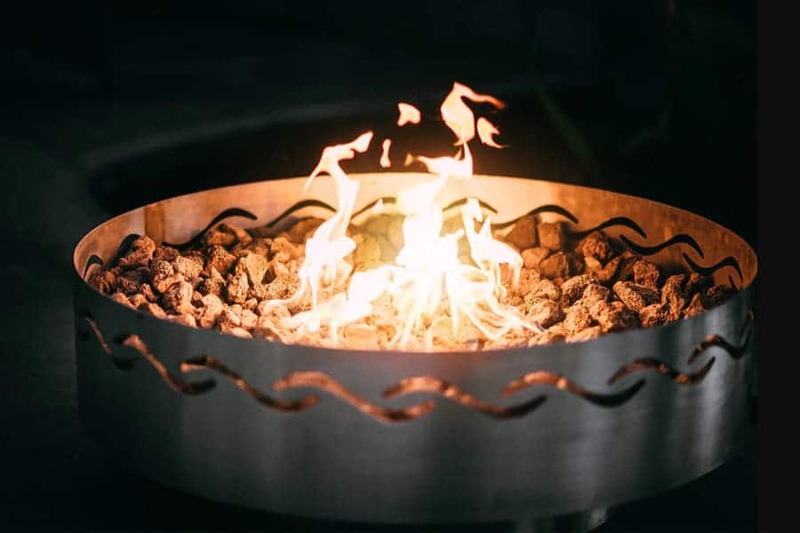 Ohio Flame’s artisan “Skillman Signature Series” are designed and handcrafted by local artisan, Matt Skillman, and serve as a functional of piece of art that is the perfect centerpiece for your outdoor space. They are 100% American Made and feature a Lifetime Warranty. With no parts to break or wear out over time, these artistic Fire Bowls are built to last a lifetime. All Ohio Flame fire pits are forged from locally sourced steel and backed with limited lifetime warranties! Montana Fire Pits offer multiple options to suit our customers’ diverse need of complete fireplace kits and accessories. From top-of-the-line American made perfection to basic, entry-level and efficient fire bowls for your backyard patio, we offer an opportunity for each and every one of you. We recognize that fire pits are more than keeping you warm in cold weather, they are an instrument of togetherness that adds exceptional value to your outdoor living space. 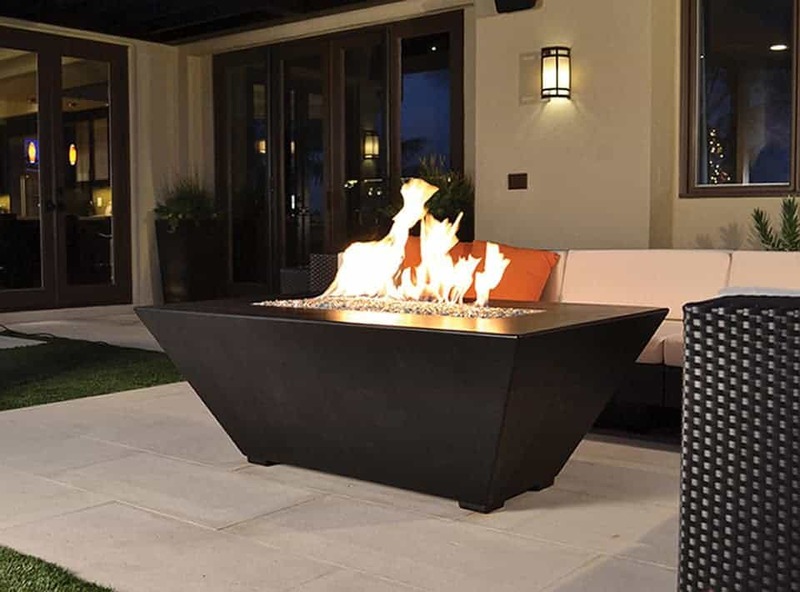 Because of that, we have chosen only the finest complete fire pit manufactures and assembled a stellar collection of styles, materials, and functions to meet the preferences of our unique blend of customers.